This Full Moon Party is scheduled to take place in October of 2018. If you’re joining the travelers from all over the world who make the journey to Koh Phangan, Thailand, to experience this event, then check out the info on this page which links to hostels, flight prices, and more. 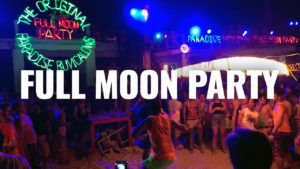 Ready to start your Full Moon Party experience? Use the button above to book your hostel. Book early for the best selection of rooms. Event dates are subject to change due to Buddhist holidays or other unforseen circumstances. Entry fees may vary. Disclaimer: Event info is obtained from multiple sources. Check out the official event website or ticketing partner for the most accurate information.